Yesterday a representative for Epic Games’ online battle arena Paragon posted a message on Reddit casting the future of the game in doubt. Today, on the Unreal Tournament forums, fans are worrying over the fate of the latest installment of that beloved series. Both games share a common problem: the runaway success of Fortnite Battle Royale. When Paragon launched in early access back in 2016, Fortnite wasn’t a going concern. Not much had happened with the build-and-defend multiplayer game since it was announced in late 2011. All of Epic’s energy seemed focused on making Paragon, its new third-person DOTA-style multiplayer game, a success. 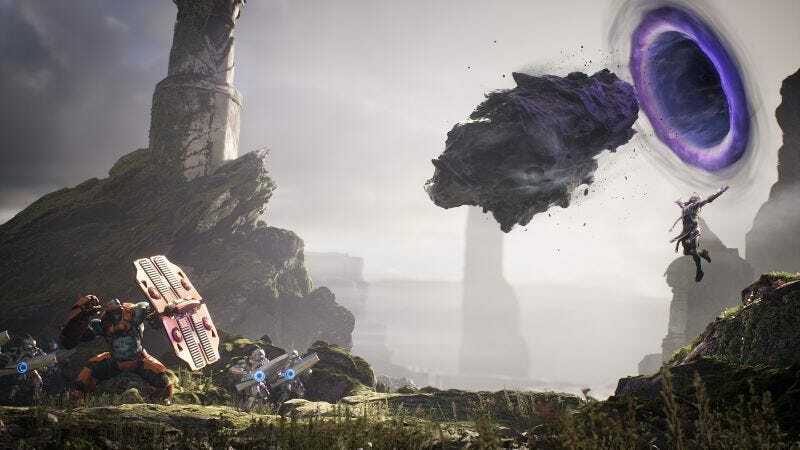 While Paragon never went big, it did gather a small, dedicated player base, largely due to the development team’s regular updates and willingness to revamp the game entirely based on player feedback. But those updates have slowed considerably in the months since the release of Fortnite—particularly the September launch of the game’s standalone Fortnite Battle Royale mode. First, the team’s time is split between immediate improvements and longer-term efforts, so there’s less visible progress. Second, a number of Paragon team members jumped onto Fortnite to help sustain the game as it has grown far larger than anything in Epic’s past. It’s the same issue that’s been bothering fans of the latest Unreal Tournament. Fortnite’s Battle Royale mode was created by members of the Unreal Tournament team in the first place, so members of that team moving to Fortnite full-time was inevitable. Some members of the Unreal Tournament forums, in a thread worrying over the lack of official updates for the in-development game, are hopeful that Fortnite’s success will eventually translate into success for Epic’s other games. Others, like the forum poster below, aren’t as optimistic. Though Paragon has evolved, no iteration has yet achieved that magical combination of ingredients that make for a sustainable game. Whatever happens, we’ll always have Skull-Face McMoonhead.